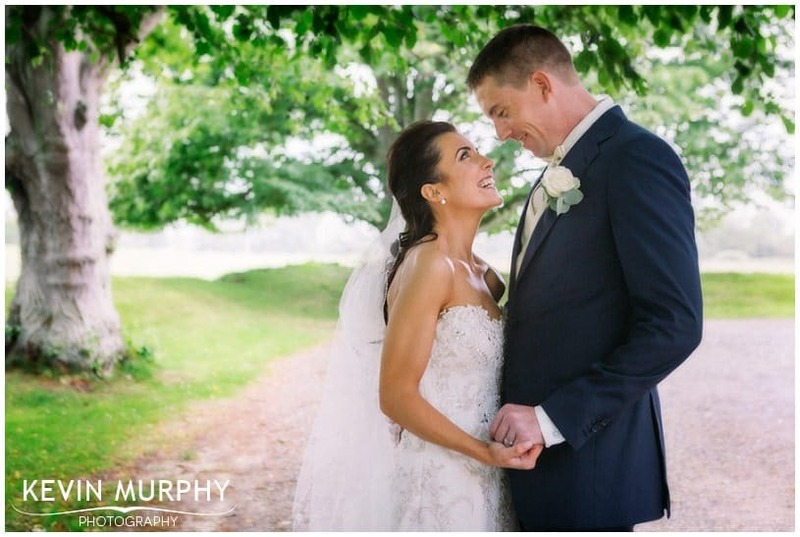 Annmarie and William are living in Australia but they travelled home to get married among their family and friends. They didn’t bring the weather with them, but they brought a really positive, fun filled, infectious attitude. 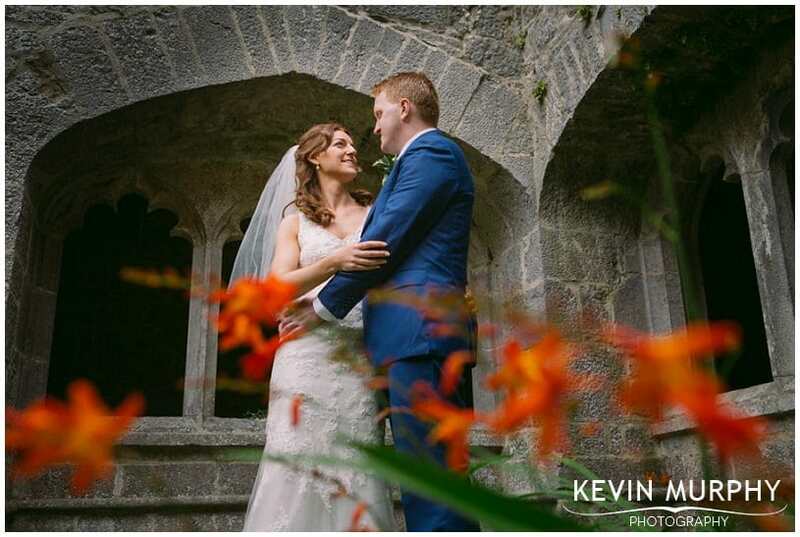 They were married in Broadford church and held their reception in the Woodlands House Hotel in Adare. I stopped in at William’s house that morning for a whistle stop tour and within minutes knew that the day was going to be a lot of fun. 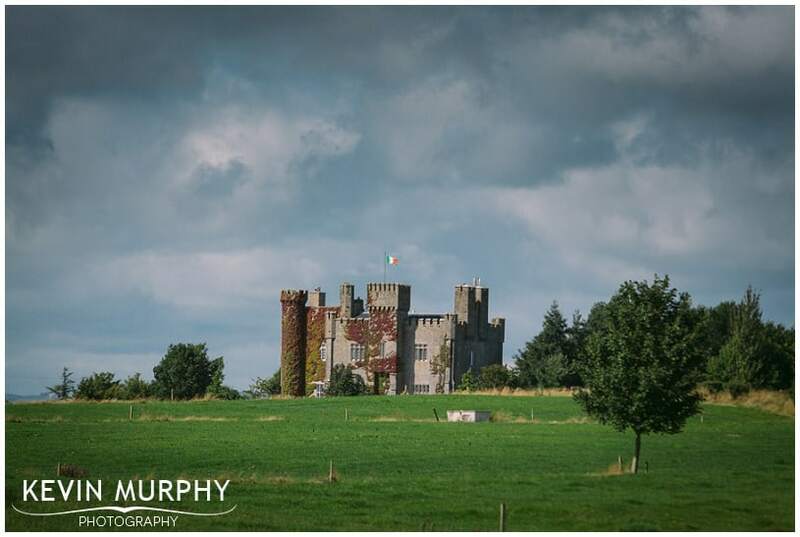 Within about 15 minute the guys had gotten dressed, taken me on a tour of the farm, played some hurling and got some champagne into them! The signs Vickie had made – it was like doing a treasure hunt around the house! I could probably double the size of Pinterest with the amount of photographs I took of lovely little details. The most relaxed father of the bride ever. He was writing his speech that morning and, when all of the girls were just about ready, he got in the shower! Of course, he was still probably ready before them! The ice cream cart. 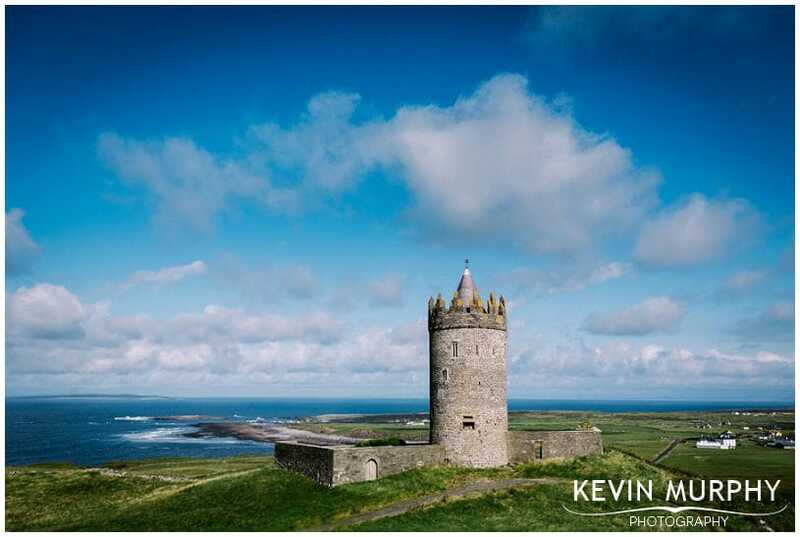 Such an Irish thing – eating ice cream under an umbrella! The best man’s advice for the bridal suite that night! Just wanted to say thank you so much for everything. You were absolutely amazing. A dream to work with. 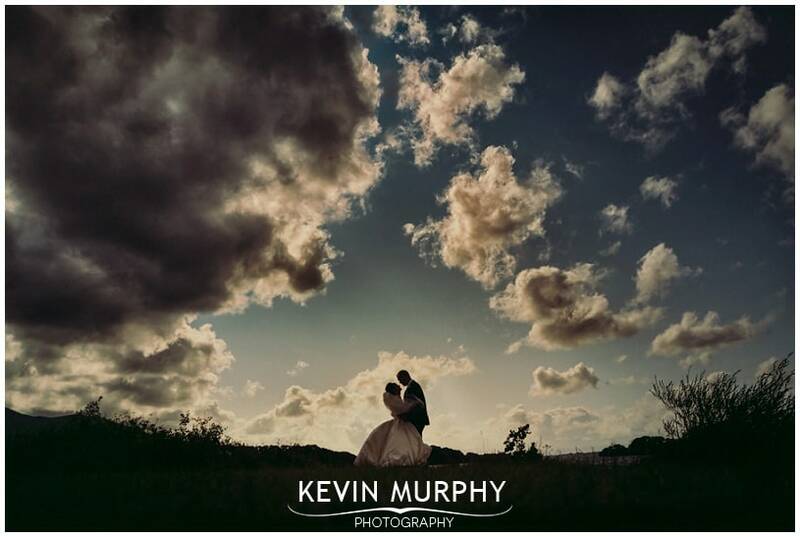 We are beyond excited to see the rest of the photos because what we saw in the slide show was just class. It was one of my favourite parts of the day & everyone was commenting on how beautiful it was. You are unbelievably talented & we were so lucky to have you on our special day. One of my favourite things about being a wedding photographer is getting to be there with families on one of their most important days. It’s like getting a backstage pass. And, because of the day that’s in it with high emotions and stories shared, it’s easy to form a bond with that family and especially with the couple marrying. 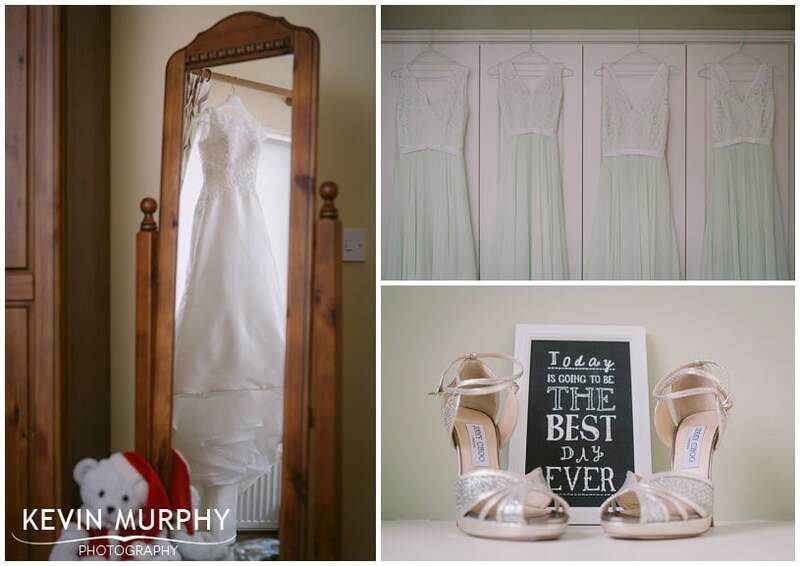 So I was delighted to be asked to photograph Ashling and Brian’s wedding – having already photographed the weddings of Ashling’s sister, Brian’s sister and Danny the groomsman – It was like a reunion and it was lovely to spend the day with lots of familiar faces (and a new little addition!). When Ashling was 15 she worked in the Highway Bar where she first met Brian. They met again years later in Aubars and the rest is history. 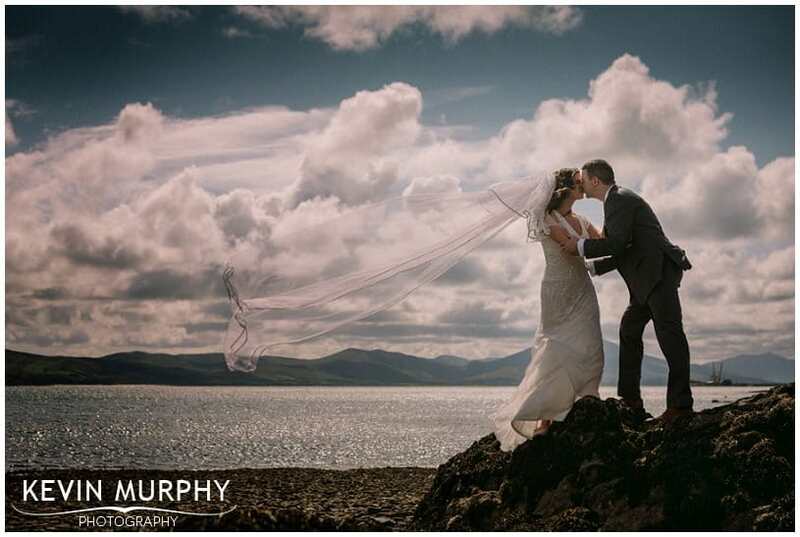 They were married in Fenit Church and held their reception in the Ballyroe Heights Hotel. The flowers, which they did themselves, looked fantastic. Ashling having her mother’s veil. Fr. Blewitt’s story about Eve’s headache. The sacristan using the signing pen to tickle people. The table names which, in a nod to Reeling in the Years, documented important years in the history of Ashling and Brian and their families. Their first dance song is one of my all time favourites, but I loved how they tied it in to their day in other ways too. Wedding days rarely go exactly to plan. No matter how well it’s organised and how much work is put into it, there are so many different aspects that almost inevitably something doesn’t go exactly as hoped. The solution: just go with it! 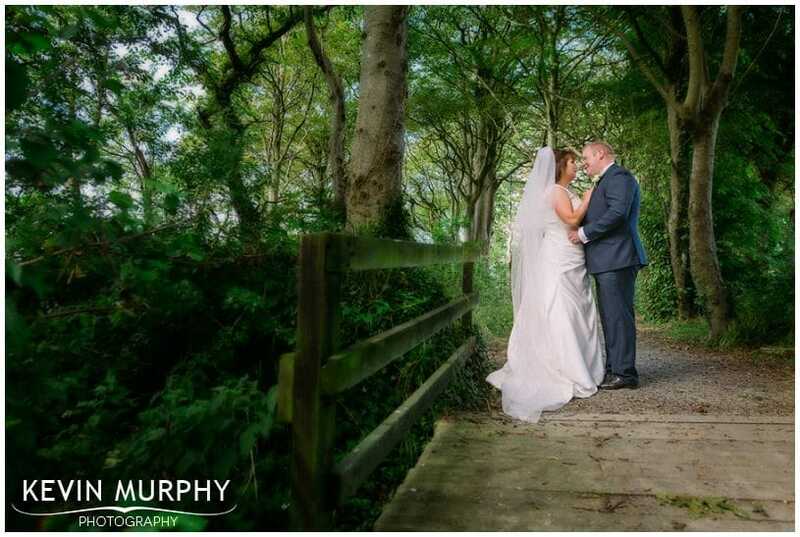 Niamh and Marcus were married in Niamh’s local church in Carriganama. The weather toyed with us all morning – almost every time we wanted to go outside to take some photographs it would start raining. Once we ran back inside it would stop! I lost count of how many times we tried to take a photograph of Marcus outside the church with his racing bike. 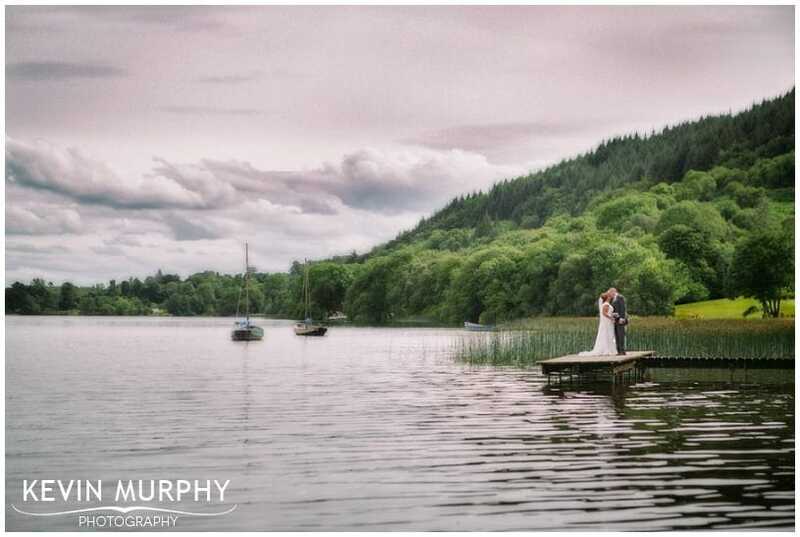 As we drove to Killarney to their reception in the Killarney Oaks it rained all the way there. Finally, FINALLY, mother nature gave us a break and when we arrived it stopped! 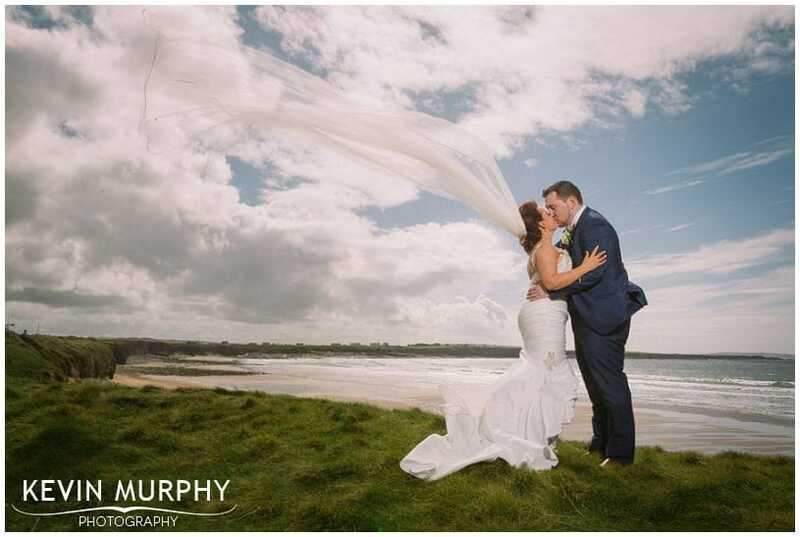 Despite everything that was thrown at them Niamh and Marcus made the most of everything and smiled the whole way through. Podge’s excitement that morning. What a diva! Being avoided all morning – every time I walked into a room, I was pretty much guaranteed to be the only person in that room within about 15 seconds! 😉 Everyone got used to having me around pretty quickly though. They not only had the same priest that married Niamh’s parents but they had the same driver for their wedding car too. Ray LaMontagne’s “You Are The Best Thing” as their wedding song as they walked down the aisle after getting married. Getting stung by nettles trying to find the best angle. Actually, hang on, I didn’t like that one little bit! One of the things I loved about Michelle and Pat’s wedding was the importance of family and friends to them. They are both only children so it was great to see their extended families and friends rallying around them for the day. I think I set a new record for the number of family photographs I took – which is all the more impressive for two only children! Susan who was not only chief bridesmaid but also looked after Michelle’s makeup. She even sacrificed a makeup brush for the cause – snapping it in half so it would fit in her touch up bag! The girls’ reaction to seeing their transport for the day – a vintage camper and a red mini. Lauren (the flower girl) giving Michelle a celebratory fist bump once she was officially married. Tadhg (the page boy) who was looking dapper in his shorts and dickie bow. Claire throwing her bouquet and it landing lodged firmly in the videographer’s camera! Their very apt choice of song for their first dance. Michelle learning how to dance a set and giving it gusto. Thank you so so so much for everything you did for us on Friday. We had an amazing day and we loved having you with us for the day. You were so much fun and had so much patience with us we appreciate it so much.